We've become a very technologically inclined society, surrounding ourselves with all sorts of fun gadgets. We have camera phones, MP3 players, laptops and much more. While it's great to have so many new toys to play with all the time, this creates an increasingly alarming problem in landfills where these electronics inevitably end up. LoveToKnow recently spoke with Eric Ronay, president of ECO-CELL about this pressing concern and how his company aims to help reduce e-waste and bring greater awareness to the masses. Eric Ronay is 37 years old and is "very happy about my family and business." He went to school at the University of Louisville where he earned a bachelor's degree in English. He spent four years with the U.S. Navy, most of which was out to sea. Eric's father started ECO-CELL and that was how Ronay came into the new family business. He was "bouncing around from job to job and not doing well at all working for others." After careful consideration, Eric and his wife Lindsey decided to buy ECO-CELL in 2006 and have been very pleased with how things are going. "Basically we collect as many old cell phones as possible via our program partners. When the phones arrive at ECO-CELL, we make a determination as to whether or not it has reuse/resale value. If they do, then we sell them to refurbishing companies in the U.S. and China. We pay our partners for these phones based on the market value of the phones which fluctuates with supply and demand. If the phones can't be reused, we recycle them with an EU company, Umicore. Over half the phones we receive are recycled." Why do you think cell phone recycling is important? Cell phones contain toxins including arsenic and lead. Cell phone use is dramatically increasing thus there are more and more phones out there. There are developing markets where the purchase of a new cell phone is not a viable option, so there is a growing demand for pre-used phones. How is cell phone recycling done? What about other portable electronics?Basically the phones and accessories are completely broken down for their precious metals, notably the gold on the circuit boards. At Umicore, they actually use the plastics that come with the phones to help fuel their smelting operation. Pretty smart! How is ECO-CELL different from other similar organizations? We are an environment-first collection program, meaning that we do not landfill anything. Also, we collect everything -- phones, accessories, etc. -- regardless of age or condition. Fund-raising is a big component of our program and we try very hard to get as much money possible back to our partners, but it costs us more to do business in an environmentally responsible way. Our participants understand this. In fact, our attention to environmental concerns has enabled us to attract world conservation leaders like the San Diego Zoo, Toronto Zoo, Dian Fossey Gorilla Foundation International, and the WCS, which runs the Bronx Zoo and Central Park Zoo in NYC among others. Do you think our culture has become overly enamored with having the latest and most unique mobile phones? Has this contributed to the cellular waste problem? A cell phone as a status symbol is problematic to me. I don't get it, but a lot of people are mesmerized by them and there is definitely a marketing machine in full swing. Everywhere you look someone is telling you to get a new cell phone - it's exhausting. On average, an American gets a new cell phone every 14-18 months, which means we have a cellular waste problem. Especially given that only three states in the U.S. have e-waste recycling laws on the books. How can the average person get involved with ECO-CELL? What opportunities are available? The program is free and open to the public. Anyone can use the program to raise money for their organization or specific cause. We have some partners like the zoos who collect on a large scale and there are others who use it on smaller but equally important projects. For example, we have had a few kids use it to raise money for service projects. We also have several individuals and companies that collect phones to benefit our Zoo partners. 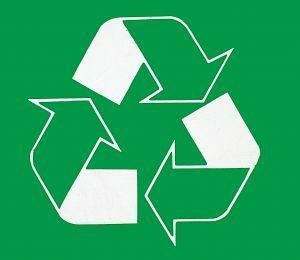 If an individual has an old cell phone and wants to recycle it, that's good too. It may not make any money, but it will make a difference by keeping that phone out of a landfill. They can just go to the map at www.eco-cell.org and see if there is a drop off location near them. If there isn't, then they can just mail the phone directly to ECO-CELL at 2701 Lindsay Ave., Louisville, Kentucky 40206. They would just need to be sure to designate whom the donation should benefit. What's your take on the Apple iPhone? Is it a truly hot item or is it over-hyped? I like the idea of having your music, phone, Web browser, text, video, etc. on one device that is easy to use. However, I don't get all excited about it. Gadgets don't do it for me. Ideas do. It would have been a truly hot item for me if they had something in all the slick advertising about what to do with it afterwards or if it was the world's first Gorilla-friendly phone. What cell phone(s) do you own and why? I have no idea other than it is a Samsung and that it came in through the program. It doesn't even have a camera. I have it because I would never pay for a new phone when my office is full of perfectly good used ones. I am so thankful to all the participants in our program. I couldn't ask for better people with whom to work. It is truly a pleasure to be a part of their vital conservation efforts.